Over the years, Skrill has come to be widely accepted by forex brokers around the world. This online payment method allows their clients to quickly and securely make deposits and withdraw funds from their trading accounts. Skrill has earned the trust of millions of people around the world for making global payments. 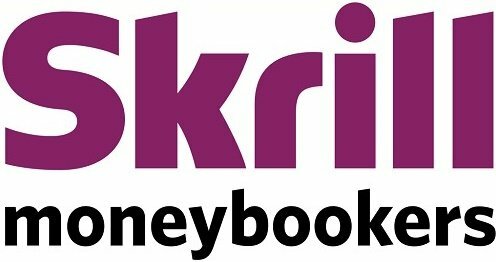 Skrill, formerly known as Moneybookers, is an e-commerce business and it allows people to make payments and transfer money over the Internet for a very small fee. Skrill is owned as well as operated by the UK-based money service business Skrill Limited, which is registered with Her Majesty’s Revenue and Customs. The e-commerce business is regulated by the Financial Conduct Authority and is licensed to operate in the countries in the European Union. After registering the domain by name moneybookers.com in June 2001, Moneybookers Limited was incorporated in the UK as a company in the following month. In April 2002, the online payment system was launched and as many as 2 million users registered on their website in the first 1.5 years of its operation. Investcorp Technology Partners bought Moneybookers in March 2007 and by 2008 the e-commerce company was operating in 200 countries and handling as many as 6 million accounts. In 2010, the process of rebranding the company as Skrill was initiated. The company’s customer base soared to 25 million by 2011 and it included 120,000 merchant accounts. After acquiring Paysafecard, the leading online prepaid payment provider in Europe, the Skrill Group completed the acquisition of its UK-based competitor Ukash in 2015 to extend the services of Paysafecard. Skrill enables payments to be sent and received in more than 40 currencies and supports major credit as well as debit cards. Further, Skrill accounts can also be held in any of major currencies. However, the currency of the account will be set, and it cannot be changed, once the account holder makes the first transaction. Individuals can open Skrill accounts by registering an email address and providing certain personal data. Those that complete an identity verification process (this is optional) can send/receive higher-value payments. As accounts are identified through email addresses linked to them, payments from the individual’s Skrill account (except withdrawals to the individual’s a payment card or own bank account) are processed by transferring the money to an email address. The email address associated with a Skrill account can be changed with the help of Skrill’s support team. Further, each account can have only four email addresses linked to it. Accounts that have not been used for more than 12 months will be charged an inactivity fee. Skrill also offers branded prepaid cards to customers. These cards will be linked to their Skrill accounts. Prepaid cards are offered in USD, EUR, PLN or GBP. High-turnover customers can opt for Skrill VIP accounts that come with features such as security token, multiple currency and loyalty points. For businesses, Skrill provides services such as payment gateway, escrow payments, fax sending services and web SMS. Unlike other competitors, Skrill generally does not get involved in merchandise disputes. Further, the credit card chargebacks are often limited. FBS, an international forex broker, has presence in over 120 countries. The online forex company boasts of 2,000,000 traders (clients) and 130,000 partners. For Muslim traders, the broker provides swap-free or Islamic accounts. FBS was founded in 2009 and they do not offer financial services to people in the USA, Belize and Japan. Deposit Options: Visa/Master Card, Neteller, Skrill (7.5% commmission), Webmoney, Perfectmoney, OKPAY, FBS Exchanger, Wire Transfer, YuuPay (3% commission), etc. Plus500 forex trading platform is provided by Plus500CY Ltd., which is a company based in Cyprus and the headquarters in Limassol. This broker is authorized as well as regulated by the Cyprus Securities and Exchange Commission. Deposit Options: Bank Wire, Paypal, Credit Card, Skrill, etc. Pepperstone, an execution-only forex as well as CFD broker, provides trading solutions that cater to both veteran and novice traders. Founded in 2010, the company had its headquarters located in Melbourne, Australia. The company has offices in Shanghai, China and Dallas, USA. Deposit Options: Bank Wire, Debit Card, Credit Card, WebMoney, Neteller, FasaPay, Skrill, BPAY, POLi, QIWI, PayPal, UnionPay (China), etc. Deposit Options: Bank Wire, Paypal, WebMoney, Skrill, Credit Card, Neteller, PrepaidMasterCard, etc.